67 late hours to avoid the impact of Cyclone Pam, the Volvo Ocean Race followed trip to Brazil, more precisely Itajaí (SC). 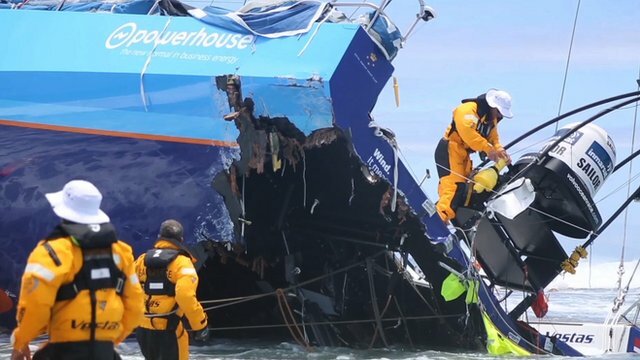 The fifth leg of the around the world dumped this Tuesday (17), of Auckland, in New Zealand. The six teams will face the longest leg of the event-6,776 nautical miles or 12,550 kilometers-and difficulties as the cold of the South seas, big waves and the dreaded Cape Horn. Among the crew, a Brazilian: André Cheek Fonseca is the helmsman of MAPFRE, Spanish flag boat in the regatta. “All the sailors want to dispute this step, as it passes through the South seas and the Cape Horn. Is a milestone in the career of the athlete. We love to catch big waves. We spent a cold and hungry, but we had fun, “said Santa Catarina Cheek. “I’m anxious to get to Brazil. It’s been a long time since I’m not home. I’m going to be very soon in my country and in my State. Itajaí is close to Florianópolis, where I live. I’m dying for a barbecue, “quipped André ‘ Cheek ‘ Fonseca. The race also has an almost brazilian. Carolijn Brouwer runs in Team SCA, all-women boat in adventure. The Dutch athlete lived more than a decade in Brazil. “It’s always a step with a lot of tension and nerves. The points of ice-ice gates – will be far more to the South. Cold and windy we get. Our goal is to reach in Itajaí with the boat, “said sailor, who participated in the 2001 Edition-12. And the race won’t be a little easy from the standpoint of the sailors. In addition to the cold and the waves, they must face of 25 to 35 knots, which equates to 46 to 65 km/h until doubled Cape Horn. The prediction is that step takes about three weeks to complete. The trend is that the leader crosses the finish line in Itajaí in the day April 7. The route takes the ships near Point Nemo, famous in the works of Jules Verne. It is the most remote place on Earth, which lies in the South Pacific. The race to Itajaí marks the return to the Atlantic and the countdown to the end of the Volvo Ocean Race. But, before relaxing, they have the Horn in the Southern Ocean, which is at the tip of South America. Since the 17 century, the place is a landmark for all sailors. To give an idea, more people have reached the Summit of Everest than rounding Cape Horn. 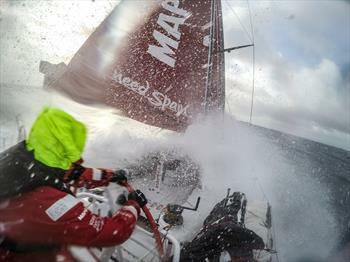 The waves can reach 30 metres-100 feet, which is almost the same size as the mast of the boat Volvo Ocean 65.